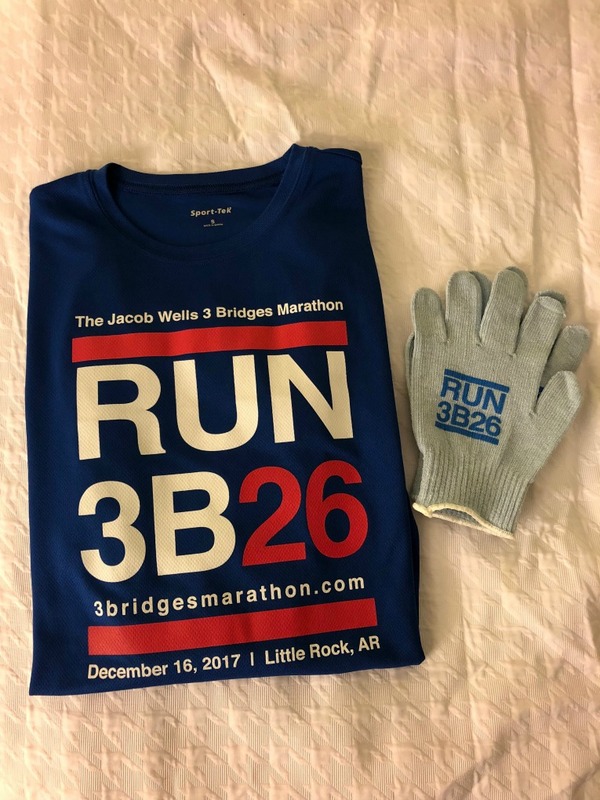 Last Saturday, I ran my 29th marathon, the 3 Bridges Marathon in Little Rock, Arkansas. It was a super tiny marathon (284 finishers) but small isn’t a bad thing. It was actually a really lovely marathon! 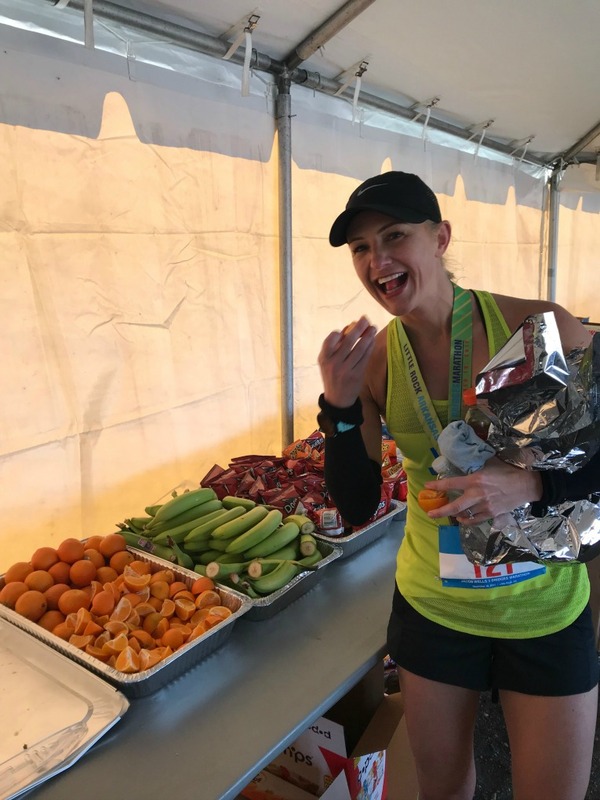 I have to note though that it was interesting to go from the BIGGEST marathon in the world (New York City) to one of the smallest I’ve ever run! 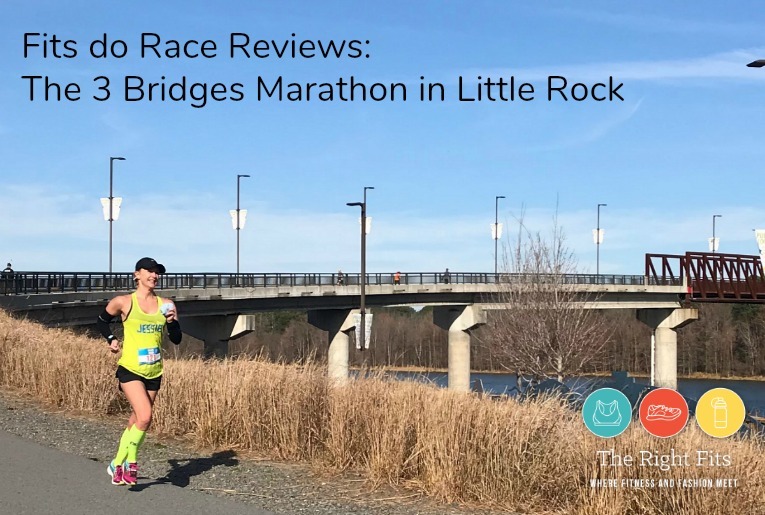 But if you’re pursuing the 50 state goal like we are, I highly recommend the 3 Bridges Marathon for your Arkansas race. 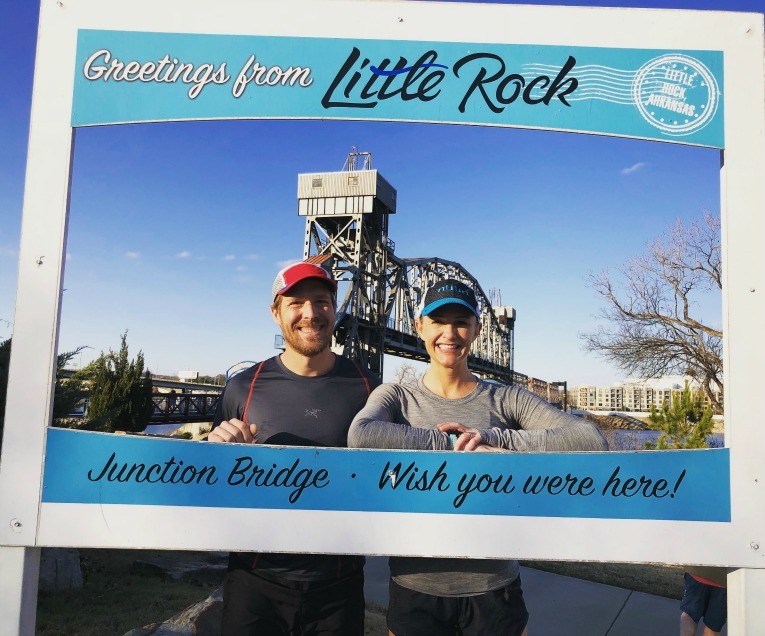 There is another marathon in Little Rock, the ‘official’ Little Rock Marathon that sounds just fine, but I am glad we did the 3 Bridges race. This was a marathon with such a beautiful course and a lot of heart. A “runner’s race,” for sure. No frills, no fanfare. Just 26.2 miles along the Arkansas river, on well-maintained paved trails, crossing three bridges, (each one twice). It was a great way to see Little Rock. 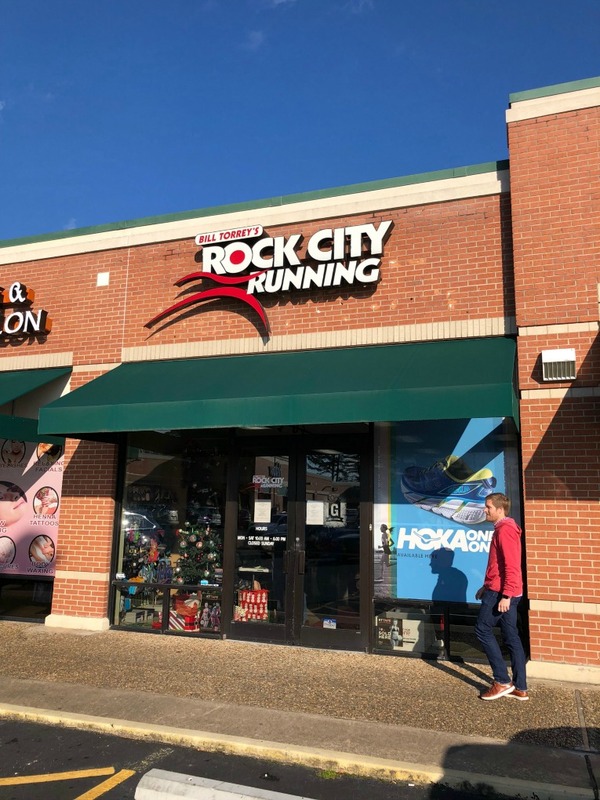 We arrived on Friday and went straight to packet pickup at Rock City Running. 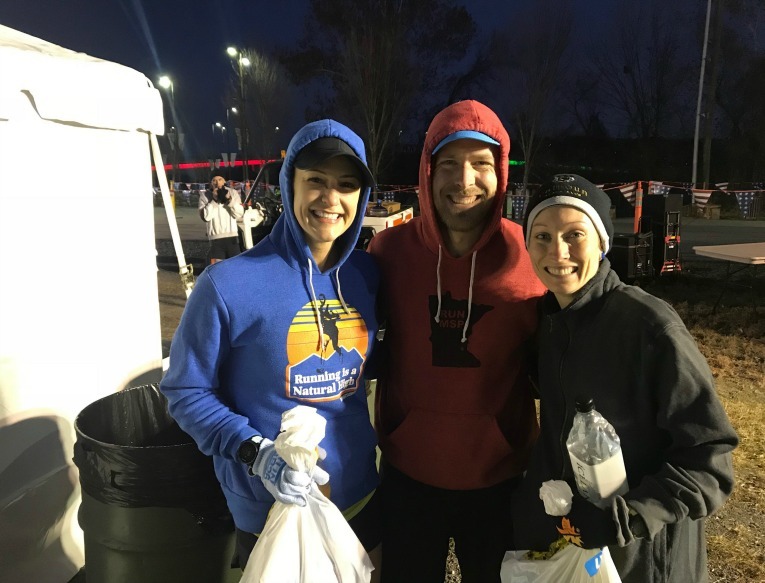 You could also pick up your packet on race morning at the start line, which is definitely rare and goes to show you how small this race was. After packet pickup, we checked into our hotel in the River District area, which was conveniently close to the running trail along the river. We headed there for a quick 3 mile shake-out run. Then it was early to bed for the 4:30 am alarm. The course is almost entirely on the Arkansas River Trail and is a 19-mile loop to the east and then a 7-mile loop to the west. 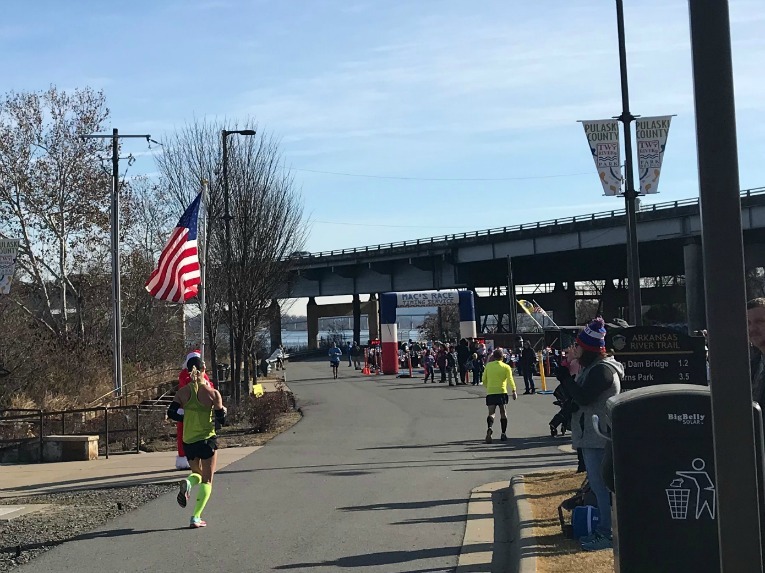 The course crosses the Big Dam Bridge at Miles 1 and 18, the Clinton Presidential Bridge at Mile 9, and the Two Rivers Bridge at Miles 19 and 26. The course crosses the Start/Finish line going west at 19 miles. The course is mostly flat, except for the three bridges. The course is mostly paved trail. It was very cold at the start (in the low 30’s!) but there was a heated tent for the runners to wait inside. With so few runners, we didn’t have to wait much for the porta-potties either. So easy! Love these small marathons. 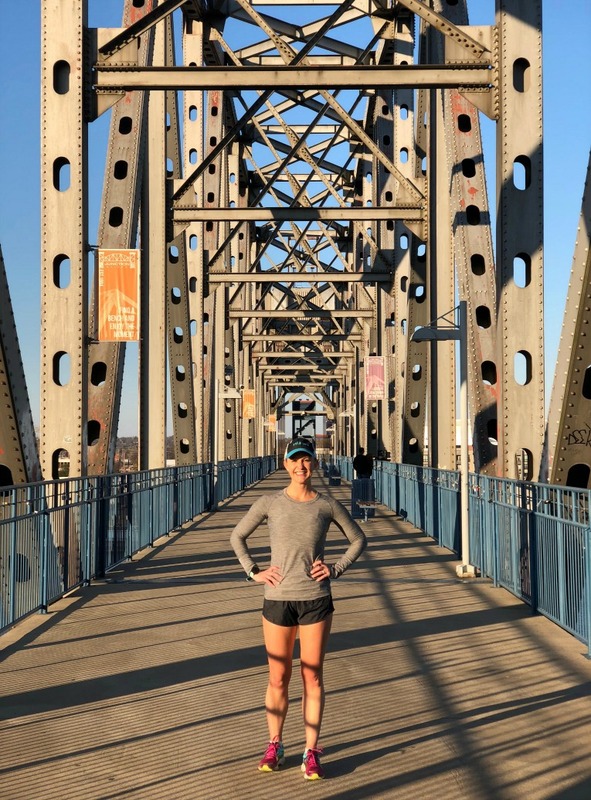 Small world- our friend Jess from the Calhoun Beach Running Club was also running 3 Bridges! We hung out for awhile in the tents before begrudgingly stripping off our warm layers and dropping off our gear check bags before heading to the start. The start was unique in that there was the national anthem, a prayer, AND the pledge of allegiance. 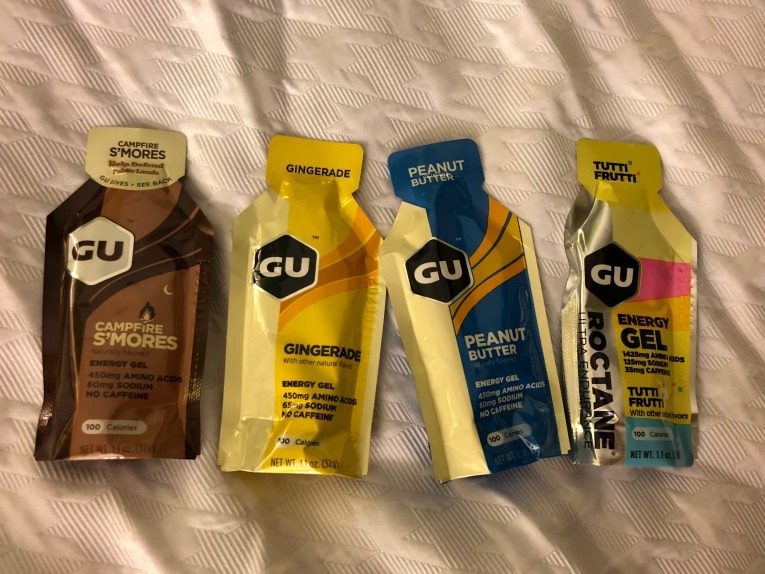 I actually purchased a few new flavors of GU for this race; I know you’re not supposed to try anything new on race day, but I’ve done enough marathons with GU as my fuel that I wasn’t too concerned. I don’t really ‘savor the flavor’ when I take a GU, I take it more like a shot, but these new flavors were still interesting! It was so cold at the start that my legs sort of felt like they weren’t moving correctly. Quite stiff. I figured that this first mile would be slow as I warmed up, so I didn’t worry about it. I felt like I was settling into what was a comfortable pace. One thing about these small marathons is that the miles don’t really fly by in the beginning like they do at the big marathons. You’re much more aware of each mile. In hindsight, I wish I would have brought headphones. I normally never run a marathon with music, but for one this small, I think it would have helped. There was generally no one around to talk to and not that much to see, other than the pretty scenery. Yeah! I can do this! And…forget about that negative split. Wait! Maybe there’s a chance! Feeling good Jessie! Nope..though in my defense, this mile was the Big Dam Bridge, which was also a big damn hill! Tough. I saw Dustin coming back towards the finish around this point; he was already past mile 25 and I looked at my watch and saw 2:54 on the clock. That meant he was going to PR, and possibly break three hours; I was so happy for him! The last miles of the race are kind of tough- you have to do this big loop in this wooded area that seems to last forever. 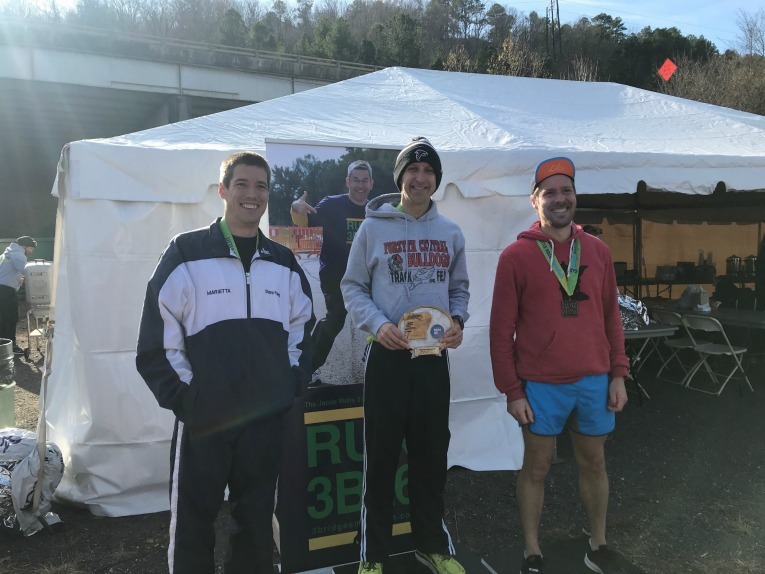 Marathon #29 complete, state #19! The finish line was super low-key, but plenty of food! Gear check was right there at the finish, as well as heated tents to stay warm! I have to point out again how Dustin came in 3rd overall and set a PR! Our friend Jess had a strong race as well and was 4th woman! Eventually, we took the shuttle back to the church parking lot where our rental car was waiting. Overall, Dustin and I were both very impressed by this race. 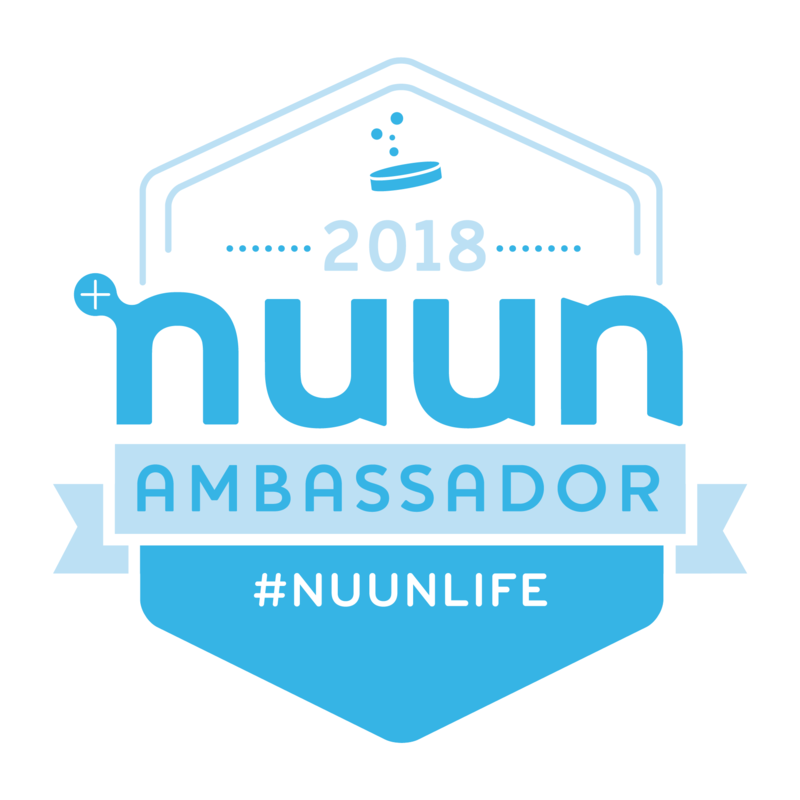 For such a small event, it so was well organized, from the shuttle to the start line, to the plentiful aid stations, to the lovely course. 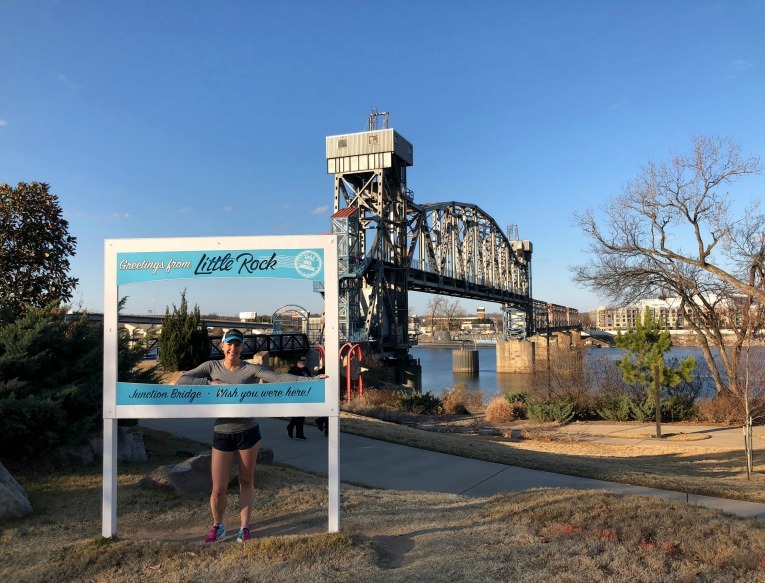 I went into the weekend with relatively low expectations, but I was so pleasantly surprised by Little Rock and by the marathon. Of course, Dustin’s view of the marathon is even more rosy since he had such a great race and set a 2 minute PR (official time 3:01:36). He’s that much closer to breaking 3 hours! He felt amazing during and after; I’m very happy for him. 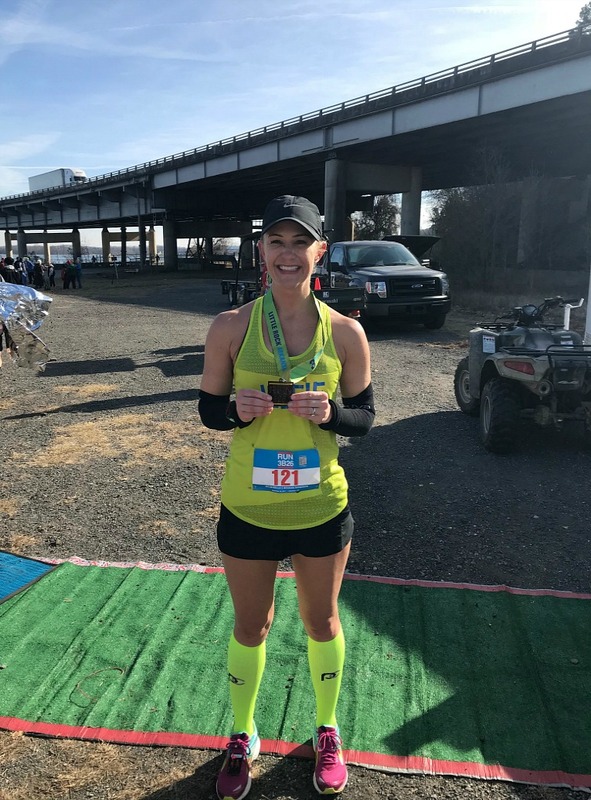 Thank you Little Rock for a great marathon! Probably nothing before Antarctica in March, but then we’re trying to figure out if we will do another state in the spring. I’m considering the Coastal Delaware Marathon or Fargo in May. Any other recommendations for a spring marathon? Please share! 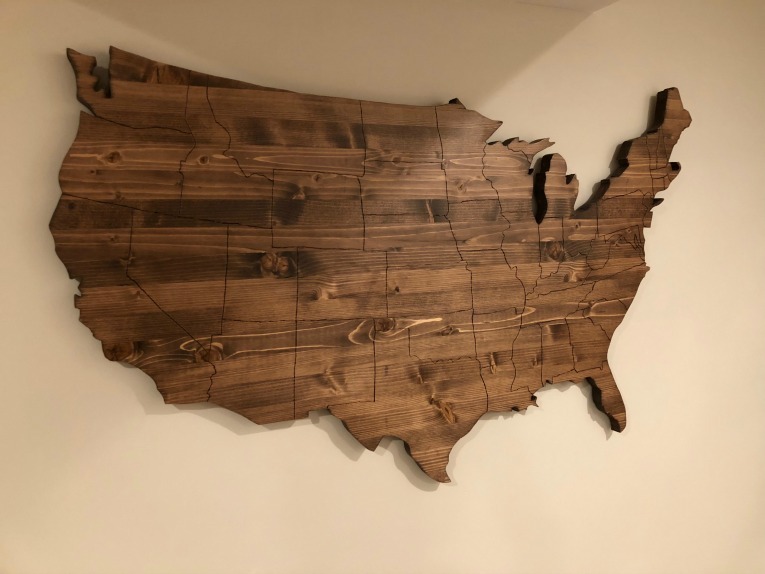 Our friend Kevin made us this amazing USA wooden map (we just hung it up in the basement) that we plan to use to mark off each state as we run marathons there in our 50 state quest. You can’t tell in this picture, but it’s about 4 feet wide and matches our basement floors really well. I’m trying to determine if I want to use paint, stickers, push pins, or something else to mark each marathon. Thoughts? He is still working on Alaksa and Hawaii but we’ll have those as well soon! 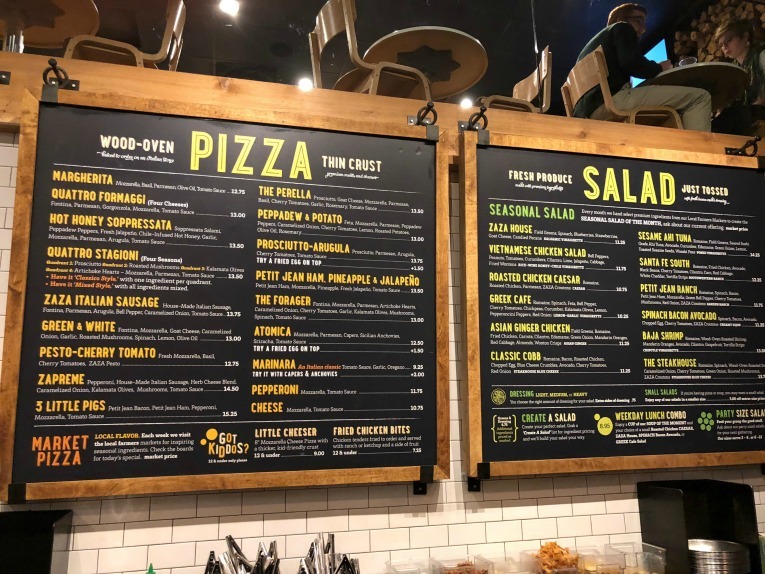 *I’m also drafting a travel post of what else we did while in Little Rock, but this post was already long enough. Stay tuned! *I also want to give you all a heads up that Jess and I have stopped doing our link-up for weekly recaps. But I plan to continue writing those posts, just linking up with other bloggers who host similar linkups! Glad to hear that you enjoyed this marathon! Also congrats to Dustin too! 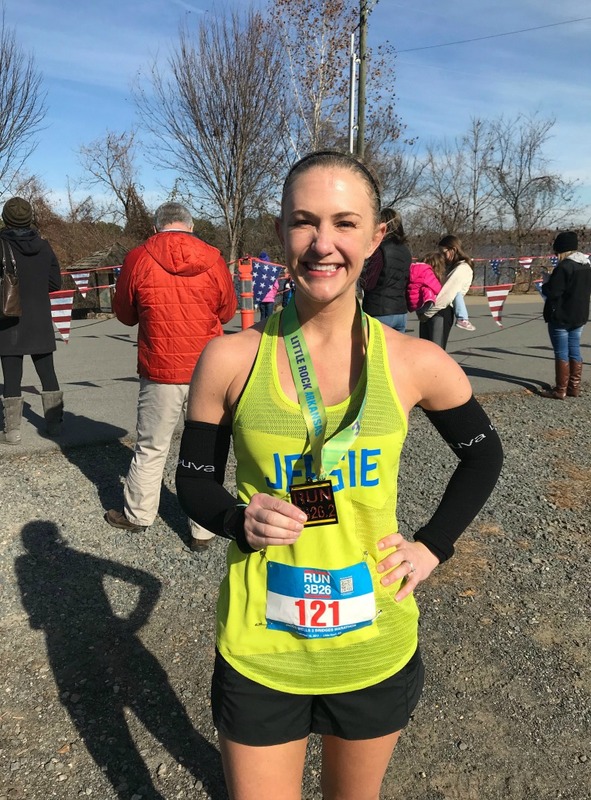 Have you done a race in Virginia yet? 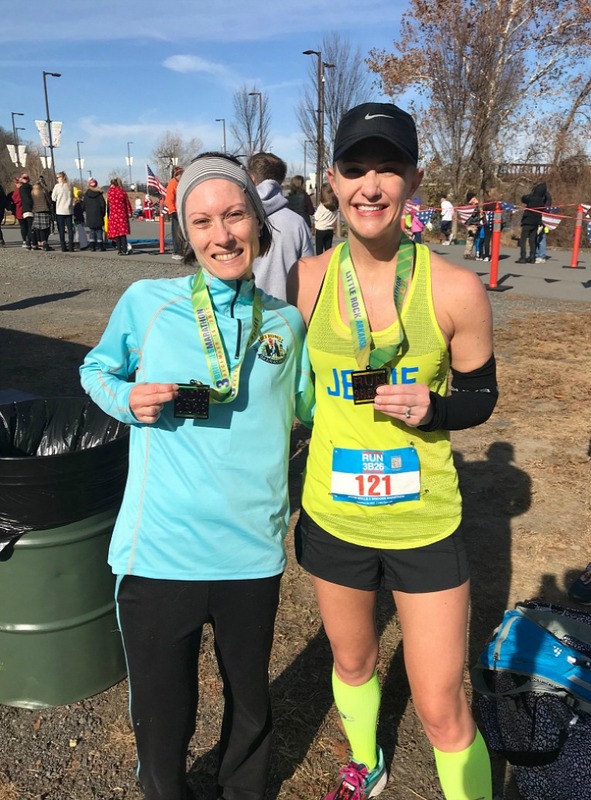 I’m doing the Shamrock Marathon in Virginia Beach in March – I’ve heard great things about the race organization and the course is flat! Looks like a great race. Well done to you both! So glad you enjoyed this race in my hometown! Did you hear the story of its namesake, Jacob Wells? If Little Rock is a hidden treasure, its bedroom community of Conway (25 miles north) is a buried gold mine! 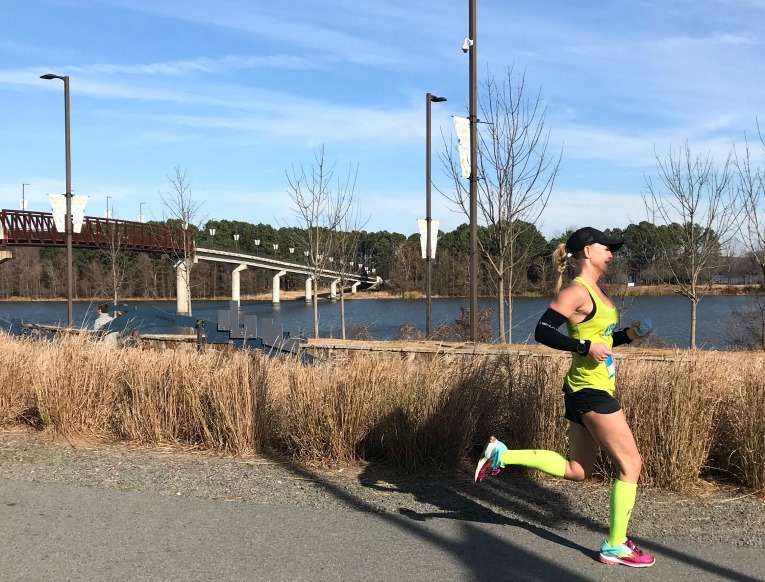 With 3 colleges, multiple thriving tech companies, and a fabulous standard of living, the Conway running community is among the finest in the nation! We look forward to hosting you at either the Loco Marathon or The Soaring Wings Half! 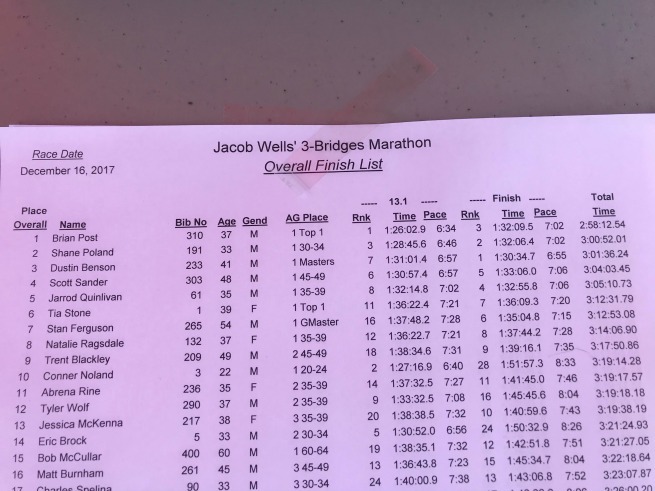 I don’t know that much about Jacob Wells…what’s the story? I would have loved to check out Conway had we been there longer! Maybe we will come back for the Loco Marathon! Jessie! 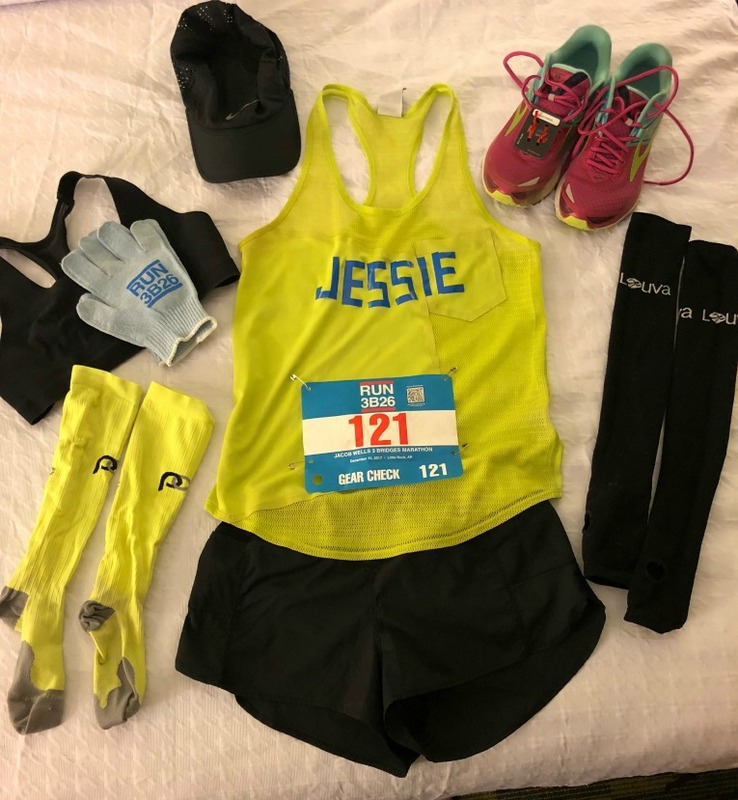 Twenty-nine marathons is incredible – congrats! To both you on a great day, and to Dustin on his PR! Such a cool goal that you’re running one in all 50 states. And Antarctica?! So awesome! Congrats on completion of your 29th marathon race and nice to see you enjoying the marathon too also many congrats to Dustin, In each pics you look just fresh and awesome. The wooden map I am just in love with it. Best Wishes for your coming marathon. Thanks so much Jenny Dio, thanks for reading and commenting! 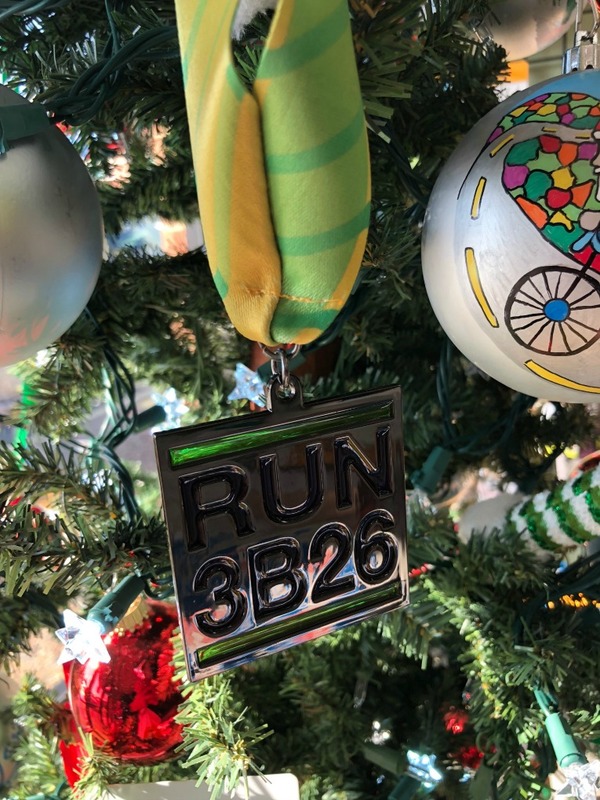 Congrats to you on your 29th marathon! An amazing accomplishment. And congrats to Dustin on 3rd overall and a PR! 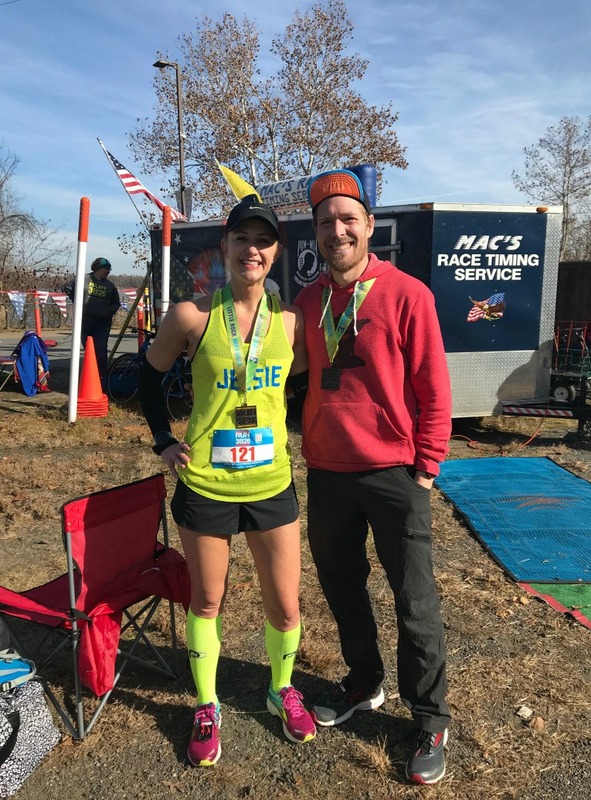 What an amazing running couple you are! The map is really cool! How hard is the wood – can you get pins into it? I’d be tempted to try a very small print of each race’s logo attached with a round pin, but a minimalist approach with just a push pin might be less busy. Eric, I’m going to test your idea. I printed out all the logos really small and laminated the paper. Then I bought some double-sided stickers and I’m going to try that out. I like the idea for sure!